It’s early August in Podgorica, and the sun is beating down on Montenegro’s capital. A fifteen minute drive links the airport with the city centre, down an arrow-straight expressway lined with the country’s red and gold national flag. It is under two decades since a US-led NATO coalition bombarded the outskirts of Podgorica in an attempt to force the Yugoslav army to withdraw from Kosovo. Yet today, American stars and stripes are flying alongside the Montenegrin red, to mark a visit from Mike Pence, Donald Trump’s vice-president. Less than 300 kilometres away, in the Serbian capital of Belgrade, it is a different story. In Kalemegdan Park, in the shadow of Belgrade Fortress, street vendors vie for tourists’ attention. 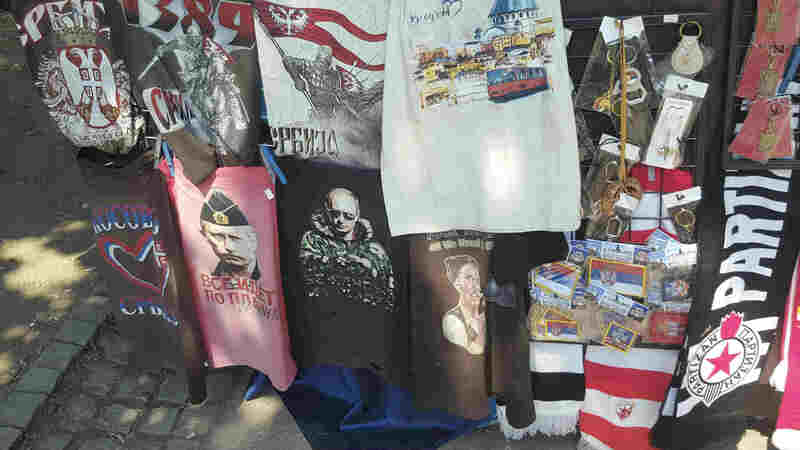 On sale with the fridge magnets and scarves are T-shirts emblazoned with images of Russian President Vladimir Putin, often wearing military uniform. The game is already well under way. On the surface, the region appears to be tilting westwards. Croatia joined the EU in 2013, and every country bar Kosovo has applied. The Macedonian parliament recently voted in a new centre-left coalition, which is promising further integration with NATO and the EU. In June, Montenegro became NATO’s 29th member, the last stretch of Mediterranean coastline between Gibraltar and Syria not controlled by the alliance. That especially riled Moscow. An estimated 200,000 Russians visit Montenegro’s picturesque coastline annually, and 80,000 own property there. In the early 2000s, a vast influx of Russian investment and tourism gave Montenegro’s economy a shot in the arm, and transformed its seaside towns into glamorous holiday destinations for Russia’s mega-rich. In 2015, amid accusations of money-laundering, Russia accounted for one-third of the country’s foreign direct investment. When Montenegro joined NATO, the Kremlin retaliated. In June, Moscow seemed to take aim at Montenegro’s lucrative tourism industry when a foreign ministry spokeswoman declared that there was “an anti-Russian hysteria” in the country, urging Russians to reconsider their travel plans. Russians reportedly comprised 7.3% of all tourist stays in March, down from 19.2% in March 2016. “We entered NATO by voting in Parliament, even though it was promised that we would have a referendum,” Mr. Dragicevic said. “Our government knew that the majority of Montenegrins are against it.” A poll in December revealed that 39.5% of the population was for joining NATO, and 39.7% against. According to Dr. Mujanovi?, responsibility for Russia’s growing regional clout lies with the West, in particular the EU, which he accuses of “coasting on the laurels and assumptions of the past”. In 2003, the Balkan countries were told that their future lay inside the EU. Yet their hopes have since dwindled. In 2014, European Commission President Jean-Claude Juncker announced there would be no enlargement during his five-year presidency of the European Commission. Despite recent pledges to do more, Mr. Junker shows no sign of changing course. Preoccupied with managing Brexit-induced contraction and wary of rising nationalism across the continent, the EU’s doors remain firmly closed, prompting a backlash in the Balkans. Just 43% of Serbs now say they want to join, down from 67% in 2009. Russia seems more than willing to step into the breach. The extent of Moscow’s meddling has become clearer over the past year. Two leaders of the Democratic Front, a coalition of parties opposed to Montenegro’s NATO membership, have been stripped of parliamentary immunity and charged with attempting to overthrow the government in a Russian-backed plot on election day last October. 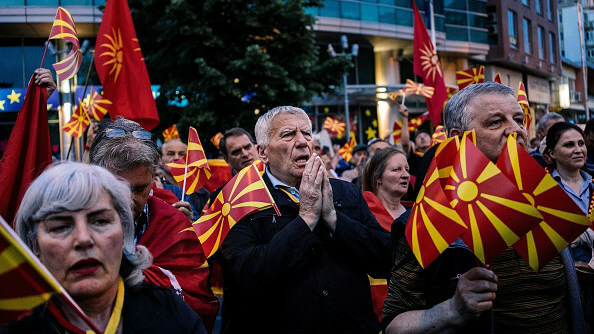 Leaked classified documents recently revealed that Kremlin operatives have been engaged in a near decade-long effort to spread discord in Macedonia, with the aim of pushing the country further from the West. For the time being Western leaders seem content to maintain what one Montenegrin academic has termed ‘stabilitocracy’: overlooking local autocratic practices so long as the peace is kept. The status quo is in little danger of changing any time soon. Montenegro’s government - until last year run by Milo Djukanovic in one way or the other since 1989 - was roundly lauded in the West for joining NATO. However, power has never changed hands at the ballot box in the country’s history, and last October’s election was rife with rumours of ballot-stuffing and foul play. Balkan leaders may be “gravitating to the West”, as Mr. Bechev puts it, but the region’s elites have historically shown themselves reluctant to engage in serious political reform. Some are concerned that a failure to integrate further with the West will lead to a region-wide democratic retreat which could plunge the Balkans back into conflict.